The following is a guest post by Tyler Sticka. Tyler created a tool called Colorpeek. Yesterday we looked at the what and why of things. Today we'll look at how he built the Chrome Extension, which will serve as a great tutorial on how you can get started building your own Chrome Extensions. In Part One I showed off Colorpeek, a web app I made for quickly sharing CSS colors, and its Chrome extension, which made receiving colors just as easy. So how’d a guy who describes himself as a designer first and a developer second manage to build a fancy-schmancy extension all by himself? 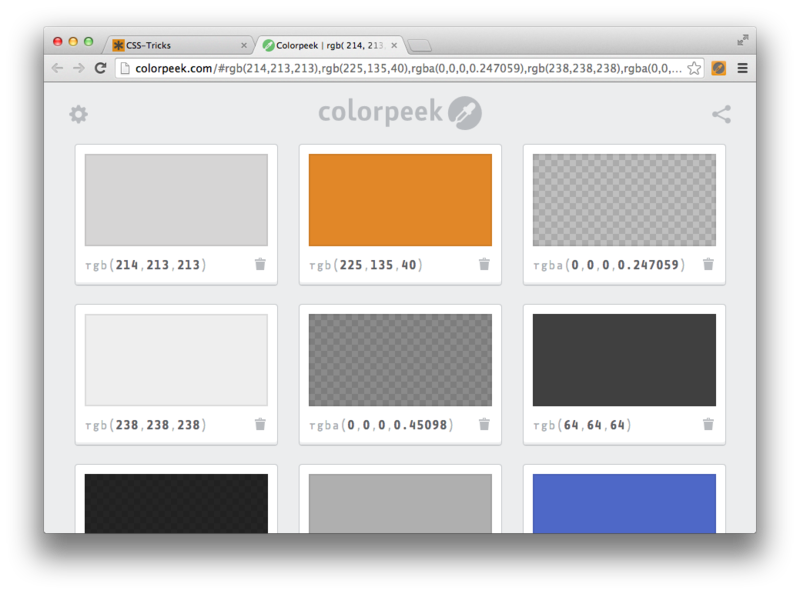 In this post we’ll build our own miniature version of the Colorpeek extension: background-colorpeek, a tool for finding and previewing all the background-color values that a webpage uses. You’ll be surprised how little rocket science is involved. A folder where the extension files will live. manifest_version: This lets Chrome know what version of the manifest file format we are using. Version 1 was deprecated as of Chrome 18, so you should always use 2.
background: Information about the scripts our extension requires to respond to things like a click of the browser action. More on this later. permissions: Because we want our extension to grab the background-color values from any URL, we need permission to interact with &lt;all_urls&gt;. If we wanted our extension to only work on http://css-tricks.com/, we could specify that instead. There’s a lot more you can do with the manifest file, but that’s all our extension will need. // far is working as expected. This script is what’s known by Chrome (somewhat confusingly) as an event page. This means it will only run when an event the extension cares about occurs... in this case, the browser action being clicked. Open up chrome://extensions/ (or click the rightmost menu button, then “Tools,” then “Extensions”). Make sure the “Developer mode” box in the upper-right is checked. Click “Load unpacked extension...” and select the folder you created earlier. Now that our browser action is prepared to do our bidding, we need to retrieve CSS information from the current tab. 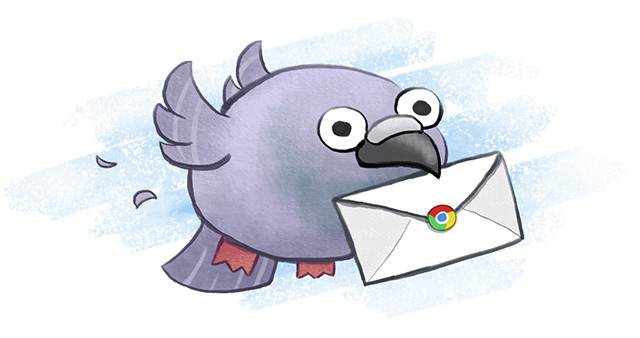 To do that, we should understand a little about how Chrome extensions work relative to webpages loaded in tabs, and how the two can communicate. Chrome was the first browser to popularize something we take for granted in desktop browsers today: The multi-process architecture. In Chrome, every webpage, add-on and extension gets its own process. This makes it really difficult for a single webpage or extension to crash your entire browser. But it also makes our event page a bit of an island... how do we act on the contents of a tab when that tab’s process is completely separate from event.js? Good news: We don’t need to, because Chrome supports passing messages between scripts. We already have our event page, which we can use to send messages. All we need now is a script in the current tab that can receive them! Author’s rendition of sendMessage in action. When a user clicks the browser action, event.js will inject a new script into the current tab with instructions on what to do next. The injected script will do whatever it needs to, responding with the data we requested. 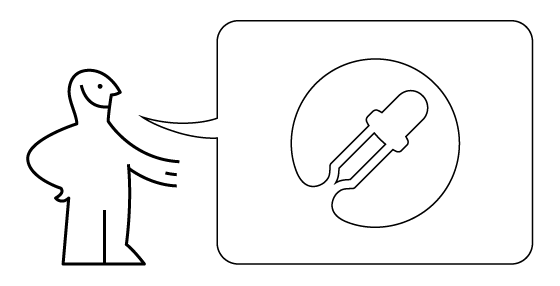 // An object that will contain the "methods"
// we can use from our event script. // background colors from the current page. // messages from our extension. // Send the response back to our extension. // passing the result to a callback function. 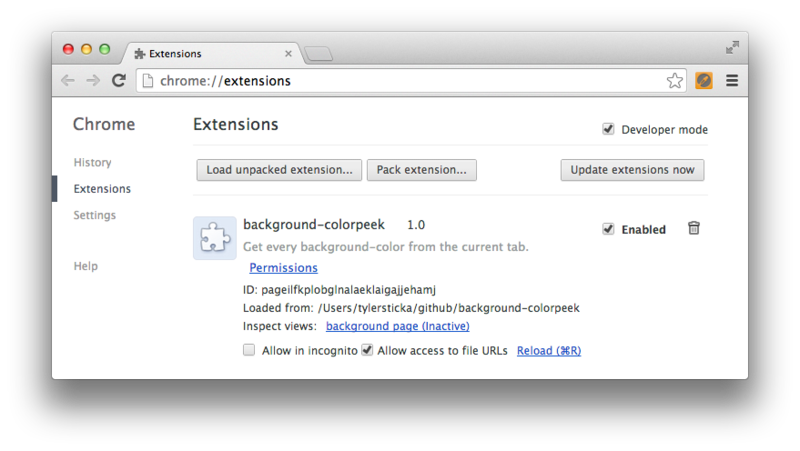 Reload the extension from chrome://extensions/ and try the browser action on any webpage. You should see a message with the number of HTML nodes therein, which means we’ve successfully interacted with the tab! Woo-hoo! When the browser action is clicked, determine all the background-color values of the current tab. Build a Colorpeek URL based on those values. Open that URL in a new tab. // and open them in Colorpeek. Reload the extension and give it a try. If it works, go get yourself a beverage to celebrate your new-found ability to make Chrome extensions! Some of the background-color values used on CSS-Tricks. Add more icons to represent the extension itself. Support using the extension from the context menu. Optimize the default_icon for high-density displays by providing a 38-pixel size as well. Change or animate the browser action icon when clicked. Store some options and design a page for customizing them. I hope this helped demystify some aspects of Chrome extension development. 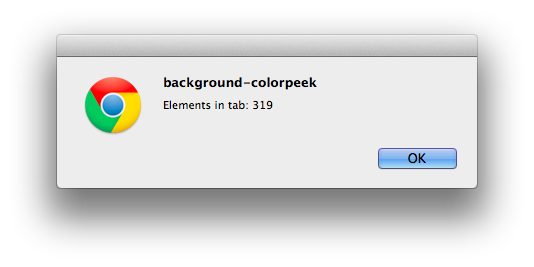 And if you like what we built together, please give Colorpeek for Chrome a try... I think you’ll dig it. Happy tinkering! Chrome Extensions sound like a fun addition to the portfolio. I really never expected that i’ll read tutorials on creating chrome extensions, thank you for explaining it step by step. This is a great post! I have been curious about chrome extensions. Thank you for the tutorial. I logged at listener and I found the listener cannot catch that event. Additionally the inject.js not executed. but After I moved that codes into event.js, it also doesn’t work. Oh I found what is the problem.